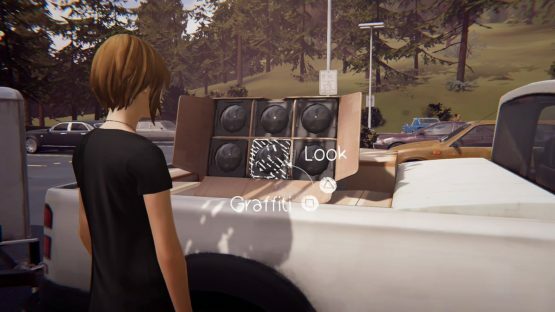 Life is Strange: Before the Storm is a fairly straightforward adventure game, but it doesn’t mean that players won’t miss a few things. 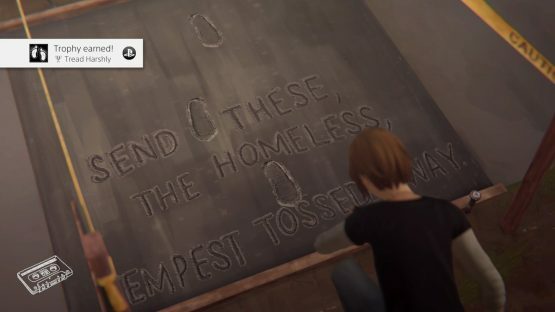 If players want to get the title’s Platinum trophy then they’ll have to tag a bunch of graffiti locations as Chloe. 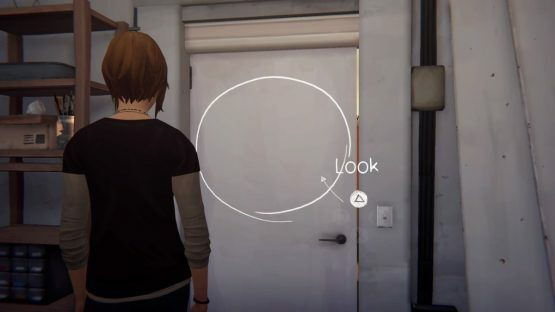 These are easy to miss, but by using our Life is Strange: Before the Storm Episode 2 graffiti locations guide you won’t miss a single one! Climb up on the blue boat by interacting with it and then using the wooden palette next to it. Once you’re up there, go to the junked car hood, and draw either buried treasure or a burial on it. 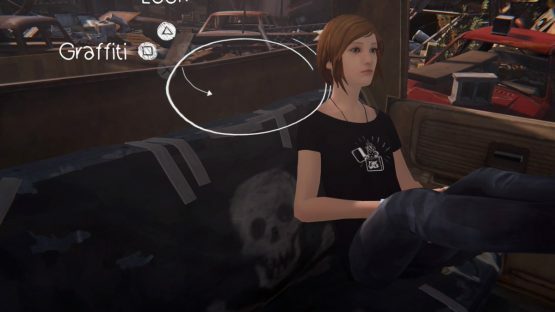 Once you’ve fixed up the car (I recommend using the pirate flag to fix the seat), you can draw on the cab wall. Your choices are to draw something either mystical or frightening. 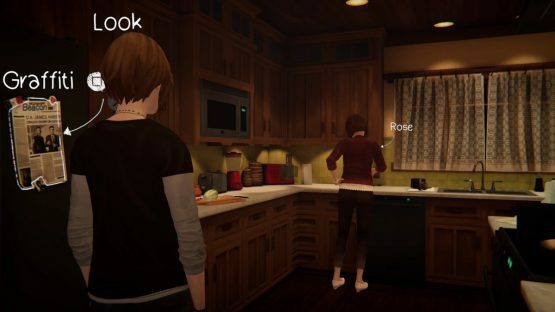 Head to the kitchen portion of Frank’s RV, and then doodle on Frank’s grocery list. Your two themes are either work or home. 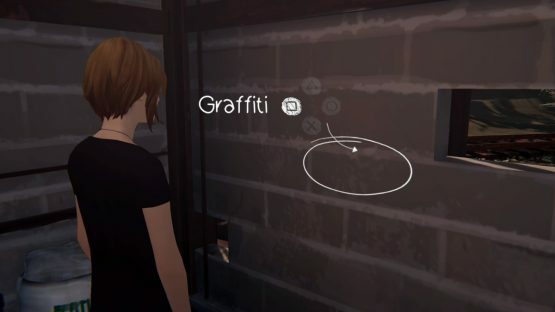 Graffiti number six is found in Samuel’s little shack. You’ll have to distract him first, though, which means breaking the sprinkler. Once Samuel is out fixing it, you can tag the spot with some squirrel-related artwork. Walk over the nearby wet concrete, and then you’ll be able to graffiti it. Choose between abandoning all hope or Tempest-tossed. Walk into Eliot’s room (number 105). 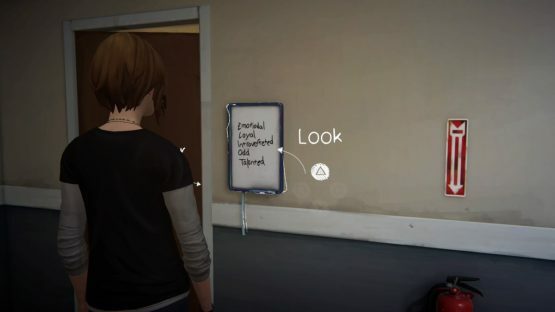 After you’re done, erase his whiteboard, and draw something new for Chloe’s not-so-secret admirer. 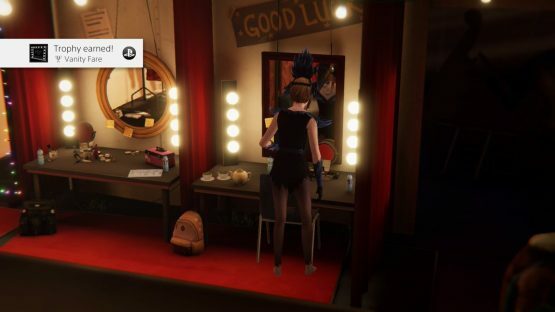 After Chloe gets into costume, look at the mirror. You can now tag it with lipstick. Walk over to the Amber’s refrigerator, and you’ll see the tagging spot. The problem is that you’ll have to distract Rose Amber, who is standing right next to it. 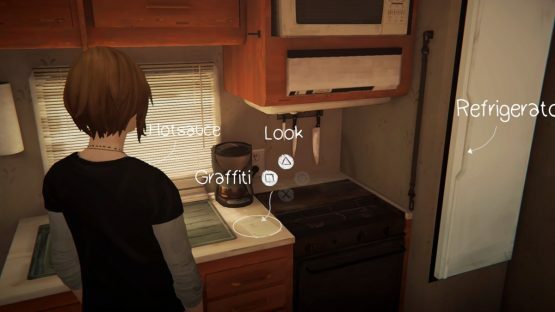 Thankfully, she moves locations after doing a few errands for her, and then the player can get their last graffiti without any hassle. 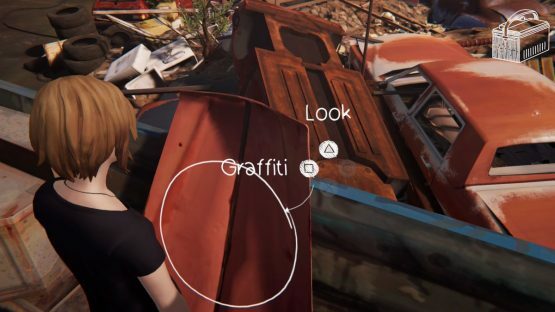 Thanks for checking out our Life is Strange: Before the Storm Episode 2 Graffiti Location guide! If you have any issues finding any of the locations, feel free to use the comment section below.